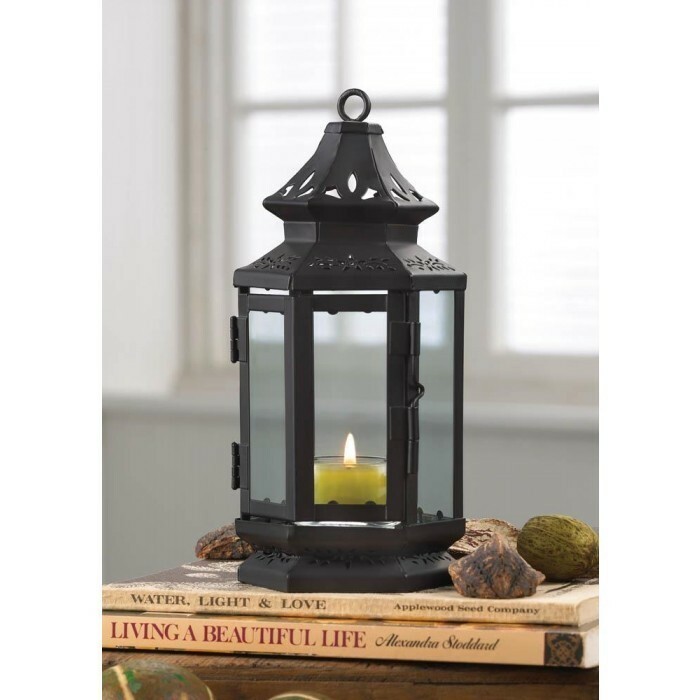 SMALL BLACK STAGECOACH LANTERN home decor, jewelry, decor, decorations, electronics, fountains, floor mats, art glass, vases, garden essentials, fireplace screens. Relive the romantic days of stagecoach travel, when candle lanterns blazed brightly through the night. A nostalgic bit of Old West dcor, prettied up with floral cutwork details. Candle not included. Material(s): IRON and GLASS. Weight 0.8 pounds. Dimensions 3.75" x 3.25" x 8"